The Bong – The wonderful history of the water pipe. The bong. Few things are more iconic to cannabis smokers than the bong. From Denver to New York City, from Jamaica to Hong Kong, this classic smoking device is always a hit. Many readers are probably thinking that bongs are a new invention, if they ever wondered about the origins of our favorite smoking device at all. But if you thought bongs magically popped into the world along with psychedelic rock and tie-dye in 1969, you couldn’t be more wrong. Read on to learn about the mysterious origins of the bong. The modern word for bong comes from the Thai word “buang,” which might lead you to believe bongs originated in Thailand. But if you fell for that, you’re not even close. That term was coined thousands of years after ancient humans were puffing on the first bong. It’s difficult to pinpoint exactly where bongs first came into being. It was long-thought that they were invented in Central Asia, since this was the first place in the ancient world with a record of cannabis use. This theory has since been proven by the discovery of the oldest bong of all time in Russia. The owners? The tribal chiefs of the Iranian-Eurasian Scyth tribe, which was a group of nomads who wandered around Russia over 2,400 years ago. The bongs found on this excavation were made of pure gold! Those ancient tribal chiefs must have had expensive taste. Before the discovery of the ancient Russian gold bongs, the oldest bongs were found in Africa. 11 bongs dating all the way back to 1400 B.C. were once found in a cave in Ethiopia. It’s unclear when exactly Africans started smoking marijuana, but historians strongly believe they smoked it long before tobacco. Between 1400 B.C. and 1500 A.D., the history of bongs is hazy at best. There are few records of our favorite smoking device from this time, but things started to pick up again in the 16th century. Remember the Thai word “buang” from earlier? This is when the first recorded use of the word sprang up. They were talking about bamboo bongs that were a huge hit in Asia at the time. The Silk Road allowed trade to flourish in ways that previous generations never could have dreamed of. Tobacco was also gaining popularity in Europe and Asia at an alarming rate, and during this time tobacco users got more use out of bongs than cannabis enthusiasts. That’s not to say people didn’t use them to smoke marijuana during this time. It was simply less common than using them for tobacco. 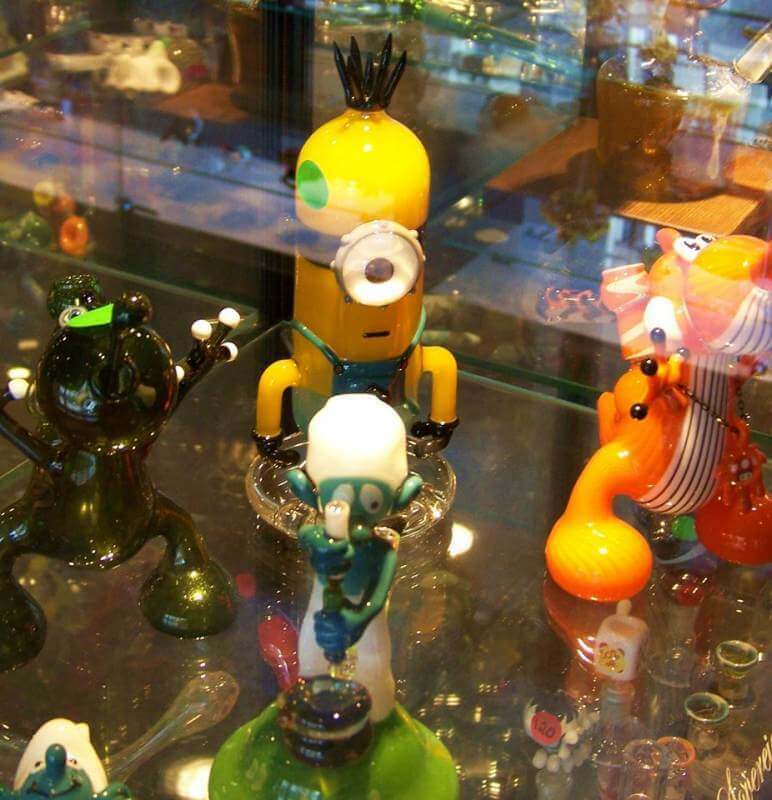 By this time glass had also gained popularity, which as you can guess was a monumental event in the history of bongs. Glass had been around for thousands of years and can be traced back to 3500 B.C. in ancient Mesopotamia. However, it didn’t gain popularity in Europe until the 19th century. As soon as people put two and two together and realized you could make bongs out of glass, forget it. Marijuana culture was never the same. Glass bongs were born. In the 1960’s and 70’s, it’s no secret that marijuana became wildly popular across North America and Europe – Possibly more popular than it had ever been in human history. And of course people were looking for new, exciting ways to smoke weed all the time. This led to the glorious rise to power of the glass bong. 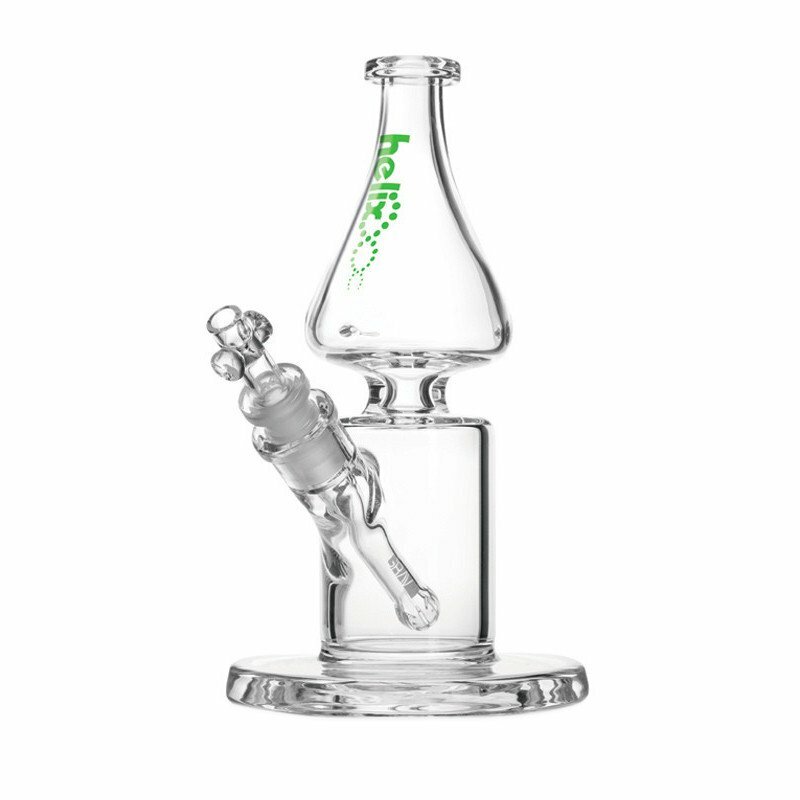 With this rise of popularity the glass bong has become the mainstay of the 420 generation. You know the drill. Fill up the bong with water. Pack the bowl with the dankest you can find weed. Put your mouth over the hole at the top, put your finger over the “choke” or “carb” and gently release it as you lift the stem and inhale the delicious smoke. Some people like to burn the weed for a while to allow the chamber to fill to its maximum potential and others like to take smaller hits to go easy on their lungs. However you choose to smoke it, a bong feels more gentle than a joint or a bowl because of the key ingredient, which is water. The water in the chamber allows the smoke to cool and takes a lot of the edge off, which provides a delightfully smooth, painless smoking experience compared to other methods. Many of you reading this article are probably very familiar with this technique, but you might not have been if it wasn’t for a guy named Bob Snodgras. The popularity of the glass bong in the 1960’s and 70’s can be attributed almost entirely to him. He developed a technique called fuming which, in simple terms, is what makes glass bongs today look so colorful and cool, with all their trippy swirls and psychedelic patterns. After the glass bong because insanely popular towards the end of the 20th century, people started using other materials. You’ve probably seen an acrylic bong, and maybe even cheap ones made of metal. However, most smokers agree that glass is the best choice, aesthetic and performance-wise. Many people are under the impression that the best bongs are “safer” than bowls and joints, but this claim is dubious at best. As mentioned previously, the water makes it a lot smoother and more enjoyable to smoke. However, you’re still inhaling large quantities of smoke and a little bit of water isn’t going to negate the health impacts of this. However, it may simply feel better and make you cough less. So if it makes your smoking experience more comfortable, a bong is a great choice. 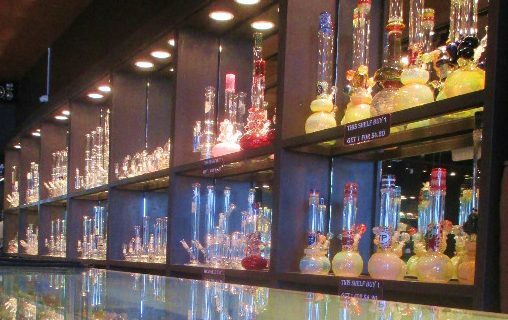 As this crash course in bong history comes to a close, it’s a good time to reflect on your favorite types of bongs. Do you prefer a glass bongs or acrylic? With a carb or without? There are countless options to choose from, but one thing always holds true: There’s a bong for everybody, and if you try enough styles you’re bound to find one that’s perfect for you. After all, humans have been using bongs for over 2,400 years.